On Wednesday, Alaska received Gov. Mike Dunleavy’s budget proposal for fiscal year 2020. The proposal included a $1.6 billion cut from the previous year’s budget and affects, among other things, education, village public safety officers, assistance to communities and the economy. Naturally, as we strive to live within our means, Alaskans’ everyday lives will be dramatically affected. As the Senate begins the process of reviewing the proposal, my colleagues and I want to hear about how this budget will affect you. Instead of Gov. Dunleavy’s administration releasing their proposal on Dec. 15 and giving Alaskans a month to review it before the Legislature starts, it is being received almost a full month into session. Even with this delay, the Senate is committed to a thorough process grounded in listening to the public. I believe that Alaskans deserve a thoughtful and deliberative response from legislators reviewing the proposal, not a knee-jerk reaction. I share your anxiety with the sheer scale of the proposed reductions, but until we can properly examine the governor’s budget proposal, it would be unfair to rush to judgment until we have the full picture. With that said, the Senate will make sure the administration will be held accountable for the entirety of the governor’s budget proposal. The Office of Management and Budget director will be in front of the Senate Finance Committee and budget subcommittees to explain the proposed budget cuts made to state services and programs that Alaskans rely on. The governor will have to defend the reductions to every single program he is proposing to be eliminated. This process is just beginning and it starts with listening to you. Please reach out to my colleagues and me by email, phone, social media or mail. Your thoughts and opinions will play heavily into my decision-making process as it becomes time for the Senate to respond to the governor’s budget proposal. Let’s work together to build a budget that works for Alaska. It starts with listening. 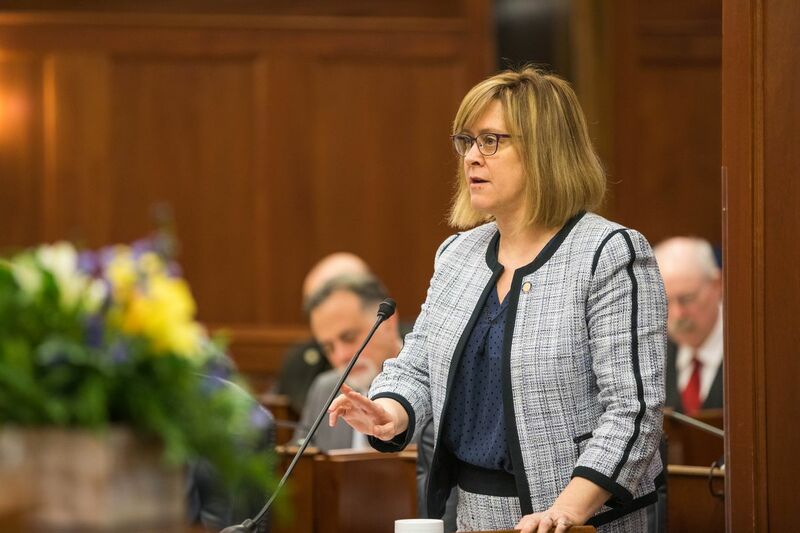 Sen. Mia Costello, a Republican, represents Jewel Lake, Kincaid, Turnagain, Lake Hood, Sand Lake, Spenard, Dimond and Campbell Lake in the Alaska Legislature.